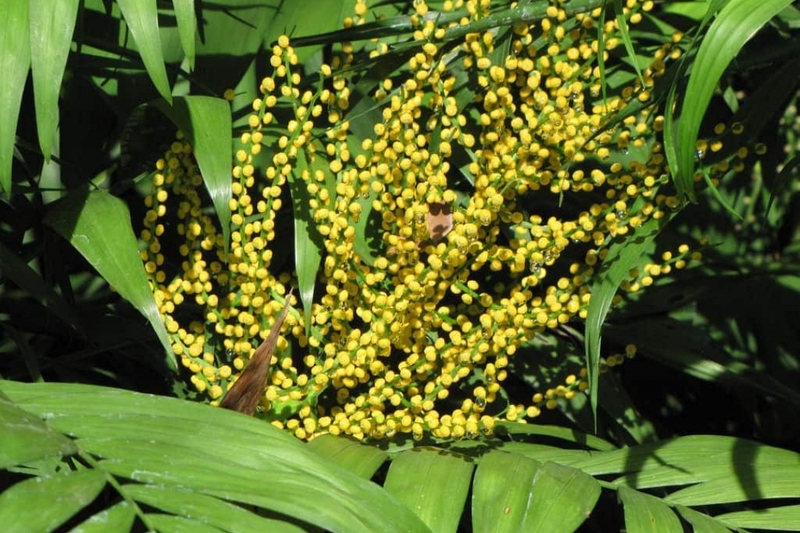 Neanthe bella palm (Chamaedorea elegans): growing, planting, caring. Small palm trees for your tropical garden or non-tropical home. Chamaedorea elegans - Neanthe bella palm or parlour palm - is a species of small palm tree native to the rainforests in Southern Mexico, used in gardens in sub-tropical climates, growing to 2–3 m (6 ft 7 in–9 ft 10 in) tall with slender, cane-like stems. Cultivated in temperate regions as a houseplant, it grows to 2 m (6 ft 7 in) tall with very slow growth, tolerating low levels of humidity and bright indirect light. Chamaedorea are palm trees with one or more cane like stems, pinnate leaves or fishtail shaped, arched, alternate or in a bouquet. The flowers are very discreet, with three petals. The plant usually takes a cup habit, and can measure between 1 and 3 meters. If you were lucky enough to have had flowers, or if you find seeds, know that it will not be easy, but fun! After soaking the seeds overnight, the seeds may be sown in the spring at 25 ° C.
The water requirements of these palms are quite variable depending on the season! Water up to twice a week in season, and very little in winter. Remember: these dwarf palms come from humid forests, they appreciate more water than their cousins.